Welcome to Victorian Motorcycle Wreckers. Victorian Motorcycle Wreckers are Victoria’s premier specialists in late model Japanese and Grey Import road motorcycle spares – and we’ve been living and breathing motorcycles and motorcycle parts and accessories for over 35 years. Our experience and knowledge of late model motorcycles have given us a leading edge over our competition which has made us the first choice of many for motorcycle spare parts both old and new, accessories, wrecking, tyres, motors, fairings, batteries and a whole lot more. 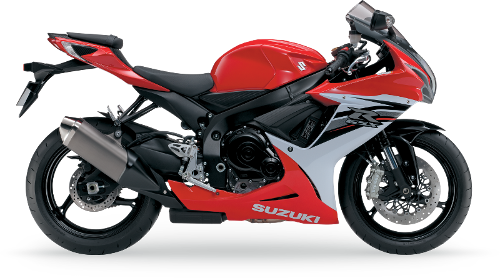 We stock parts for all the major late model Japanese road bikes – Suzuki, Yamaha, Honda and Kawasaki. We boast a full range of second hand parts and new accessories and can send your order Australia wide – even anywhere in the world! We offer peace of mind and prompt, quality service. We guarantee you will receive the highest level of customer service with staff that will guide you through our comprehensive range of products to get what is right for you. Our wrecking service is one of the finest in Australia – we pay top prices for your late model bike. We also exchange and sell motors that will suit your late model motorcycle. We understand the costs and availability of parts and accessories. If you’re a motorcycle enthusiast you can’t beat Victorian Motorcycle Wreckers for our friendly service and extensive knowledge – we know bikes because we’re passionate about them ourselves. Call us today to inquire about wrecking, parts, sales and more! You can trust Victorian Motorcycle Wreckers! Payment with Visa or Mastercard or Bank Transfer. We will buy your wrecked or unwanted motorcycles. Call us today to inquire about wrecking, parts, sales and more! You can trust Victorian Motorcycle Wreckers! Payment with Visa or Mastercard or Bank Transfer. Call us today on (03) 9457 1733.